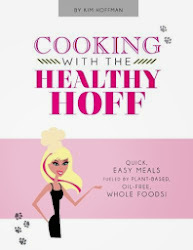 The Healthy Hoff: Himalayan Salt Lamps! I recently welcomed a Himalayan Natural Crystal Salt Lamp into my home - well, rather my cubicle. I had been looking for some type of light/lamp to keep my energies up throughout the workday and when this "natural" lamp crossed my path, I decided to give it a try! I was not disappointed! "Crystals hand-harvested from mineral deposits on salt cave floors that have been dated by geologists to the Precambrian Age." - eHow Health Himalayan salt contains over 84 minerals and trace elements. It is believed that this type of salt is the most pollutant free form of salt on earth, due to the remote locations in which it is found. A light-bulb placed within a hollowed out middle of the formation, disburses the negative ions naturally emanating from the salt crystals. Can a Salt Lamp really do all this? I don't know. At this point, I can't honestly say I have noticed a difference in my environment. However, I really enjoy looking at them - on and off! And anything that is aesthetically pleasing has to do wonders for the mind, body and soul. One thing to keep in mind, the salt crystal was created by nature and carved by hand, so don't expect to get exactly what is pictured or every lamp to be the same. Colors, textures, sizes - are all open for interpretation by Mother Nature. Don't worry, she knows what she's doing. Another thing to keep in mind when choosing a lamp, the redder the color, the higher the mineral content, and thus the greater intensity. Also, don't think of this as a reading lamp, but rather as an ambiance or mood enhancing lamp. Many refer to these lamps as nightlight, due to the low glowing light they emit. Believe it or not, you can get one of these lamps through Walmart.com, although I went through Amazon - both places are very reasonable in price. Price wise, you can find lamps go for anywhere from $10 - $100, depending on shape and size. After receiving my first lamp, I was compelled to get two more for my home. I just love the warm, tranquil glow they give off and the nature element makes a nice statement piece. Personally, I think a Crystal Salt Lamp would make an awesome and unique housewarming gift! Or, for anyone into meditation or yoga as these lamps are known to create an ambiance of relaxation and calmness.